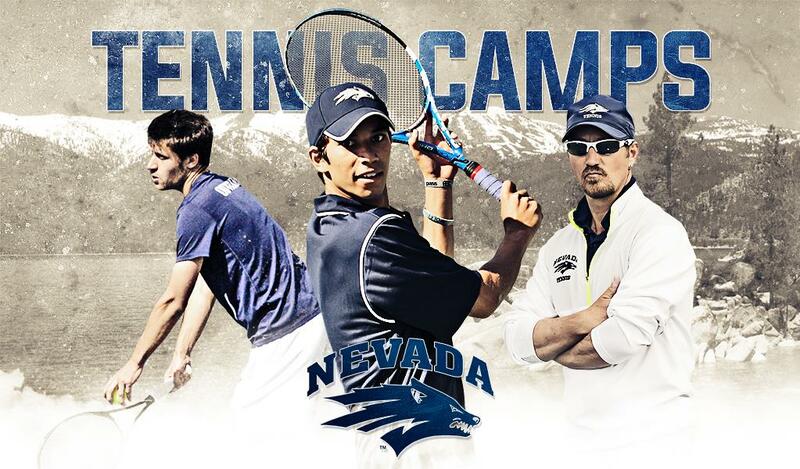 We are so excited to introduce the first ever University of Nevada Wolf Pack Tennis Academy. Come and join us on our brand new tennis courts on the university campus! Having also a long time experience of the highest level in college, we will help junior players to become great college players as well. We are also offering adults clinics. We bring fun and competitiveness to any ages and levels. During clinics, or group workouts, students will be able to implement and execute techniques learned in private lessons. Students will also receive specific technical instruction and will be exposed to point play and various stroke-production drills. Extra physical activities such as sprints and plyometrics will be done at times to complement the tennis. Silver clinics are only available to juniors ages 10-18, who are solidly looking to compete at the USTA 12 Open and up level and to reach the college level at 18. All Silver Academy Clinics are 2 hrs in duration and offer every day. Blue clinics will be focusing on the 9 to 13 year old players who have some tennis experience, are serious about tennis, but have had little or no competitive experience. This could be players in a club environment looking to grow their game more aggressively, or USTA Novice and Challenger players looking to improve more quickly as well. We want to offer all players a more intense workout where they are pushed to excel in a positive environment. All Blue Academy Clinics are 1.5 hrs in duration and offer every day. 10 and Under Tennis program and what exactly it means for everyone. In terms of junior development, anyone under the age of 10 will be participating in a system of modified rules for the game of tennis. These modifications include changes to the ball, the racquet, the court, as well as the scoring. Red, Orange and Green balls and courts will be used in order to help our young players to graduate and move to our Blue level. All Pups Academy Clinics are 1 hr in duration and offer every day. Child aged 3 to 6 is not able to assimilate the same information as his older brothers or sisters of mini-tennis, which has the consequence to slow down the course and evolution of a session Galaxy and risk discouraging children by lack of adaptation and understanding. This leads us to propose a new pedagogical concept and a space adapted to the specificities of children aged 3 to 6: LE BABY-TENNIS. The characteristics of this age group require knowledge of their behaviors, their comprehension skills and their general functioning in order to have pedagogical tools adapted to the use of this new concept. The pedagogy of Baby-tennis is intimately linked to its space of play, its colors, its very imaged universe as well as its particular language. These adults clinics are created to improve your games technically, tactically, physically and mentally and to have fun! In addition we highly encourage every players to take private lessons to implement what is learned during the clinics and achieve their goals faster.